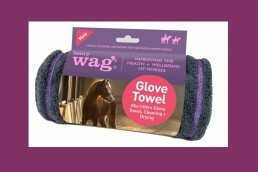 This luxurious microfibre Noodle Glove Towel from Henry Wag makes cleaning and drying simple and is effective in removing dirt and water from your pet either at home or out and about. 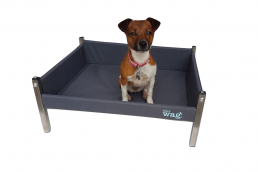 Henry Wag manufactures products to improve the health and wellbeing of pets and simplify pet care. 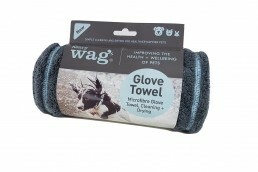 Cleanliness and hygiene are vital when providing high levels of care for your pet. 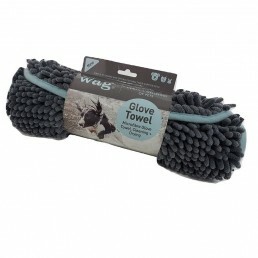 Removing water and dirt reduces the risk of infection and protects interior furnishings. 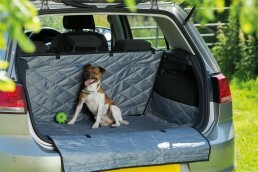 Ideal for use on soggy doggy’s after wet, muddy walks to protect car and home interiors. 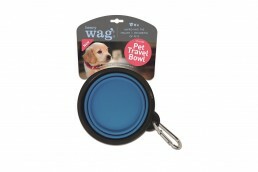 The soft noodles do not pull the hair and give a silky sheen to the coat. 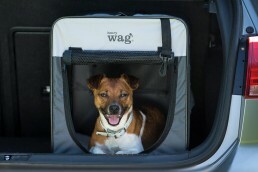 Packed in the easy access Henry Wag sleeve pack. 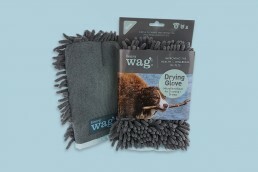 The advanced microfibre technology in our products easily removes dirt and locks it away. 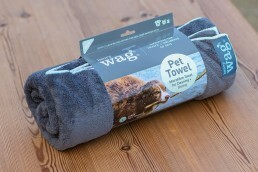 It absorbs more water and dries more quickly than regular towels. 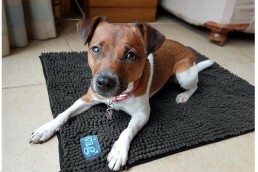 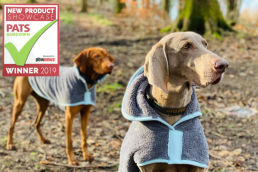 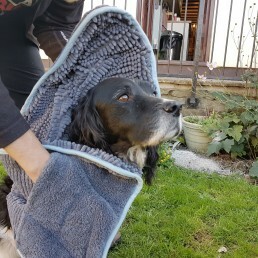 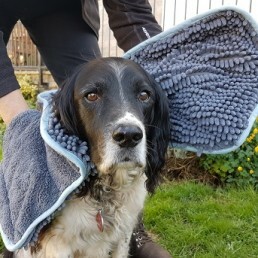 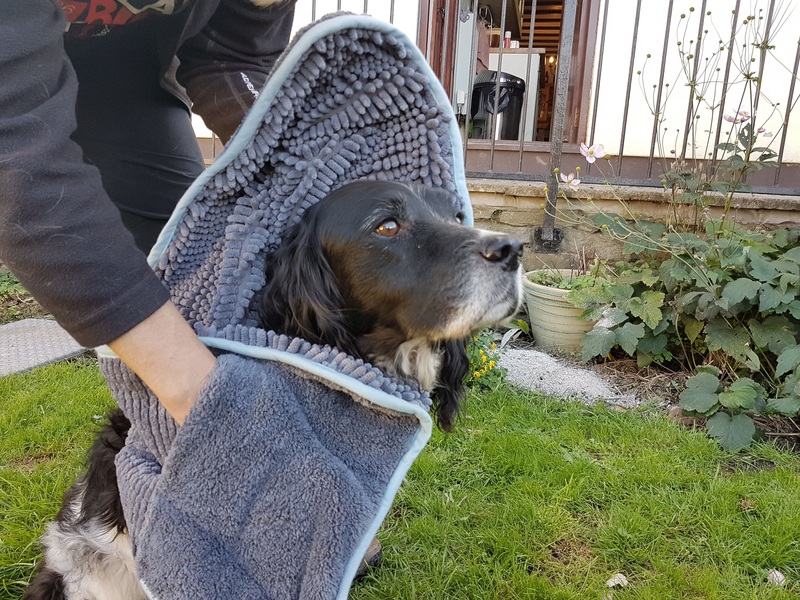 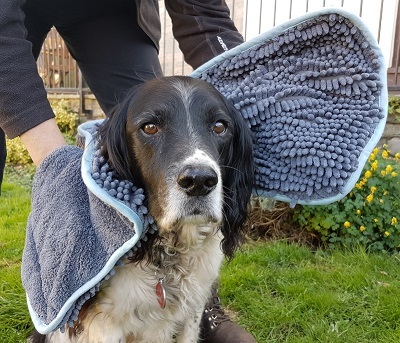 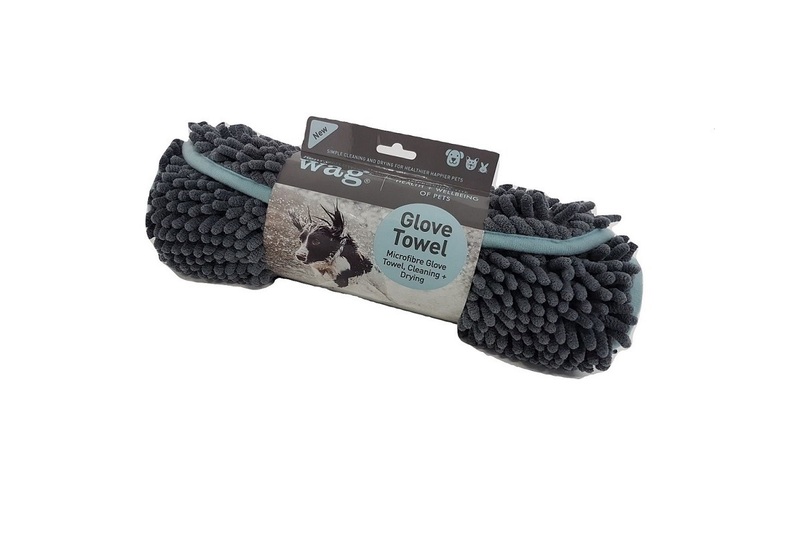 The microfibre Noodle Glove Towel from Henry Wag has soft, highly absorbent microfibre noodles making cleaning and drying simple and is effective in removing dirt and water from a dog’s coat. 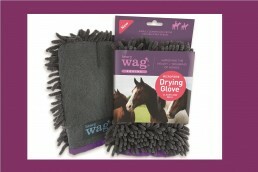 Quick drying and washable.